This statistic depicts the moral view on homosexuality in Great Britain in 2013. 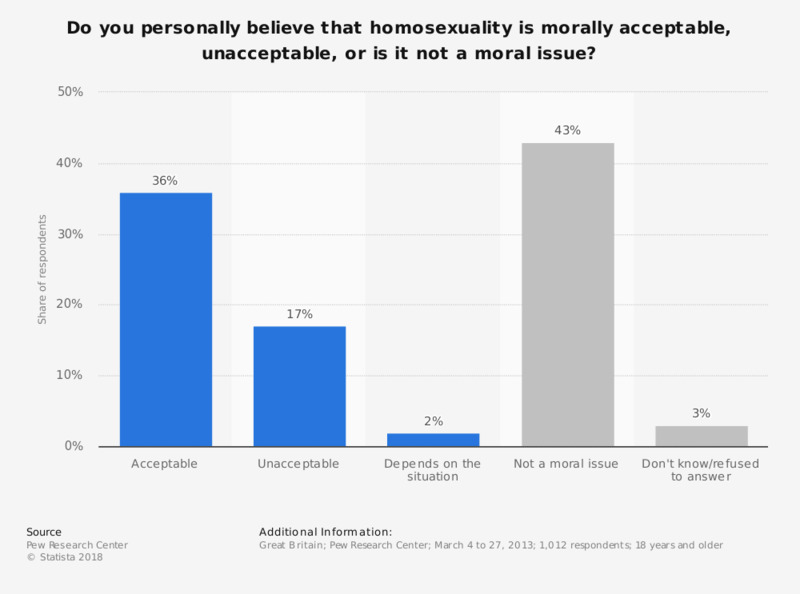 Of respondents, 36 percent said that they think homosexuality is morally acceptable. 43 percent stated that they didn't see it as a moral issue. To what extent do you agree or disagree with the following statement: "The expectation on business to do the right thing has increased in the last 10 years"?